The heroic story of a young man who took on one of the world’s greatest generals. 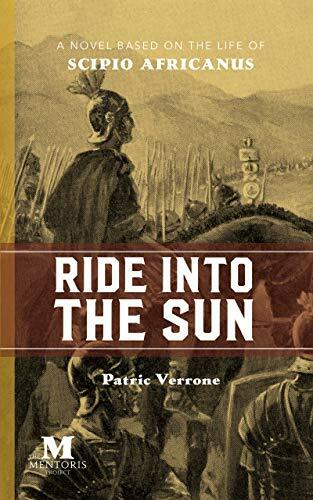 For his entire life, the Roman Empire had been at war. And now the shrewd Carthaginian general Hannibal had implausibly navigated his herd of elephants over the Alps, leaving thousands dead in his wake. For historians, it would become one of the most important wars of all time. For Scipio Africanus, it was personal. But before Scipio could fight for his beloved Republic, he had to battle his cynical and duplicitous enemies at home. Consistently underfunded and undermanned, Scipio accepted the posts no other soldier would dare take. Guided by ingenuity, prudence, charisma, and a thirst for revenge, he traversed sea and land to unite warring princes, indigenous chiefs, tribal horsemen, and his enemy’s closest allies into an unpredictable and dangerous coalition. Through his fight to defeat the greatest general of his time, Scipio would change the course of history. Published through The Mentoris Project. Click here to purchase your copy!